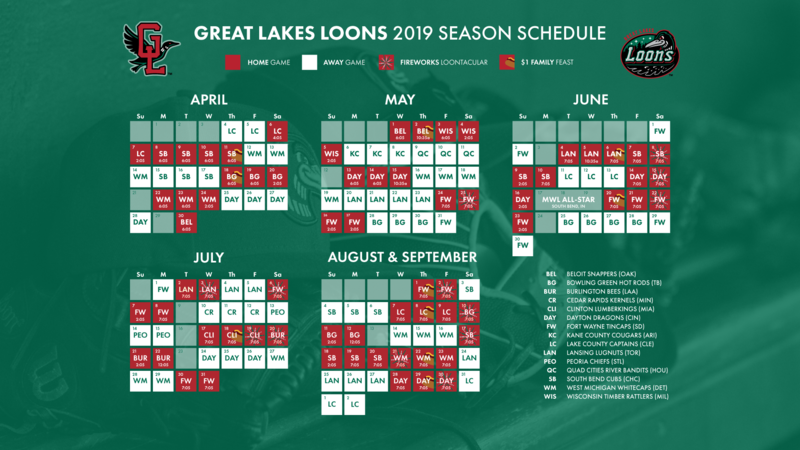 MIDLAND, Mich. - There's been a lot of exciting news around what's coming back and what's new with the Great Lakes Loons for the 2019 season! We've introduced Military Mondays, Two-fer Tuesdays, the return of the Great Lakes Camels and Feel Good Fridays, but what's happening on the weekend? 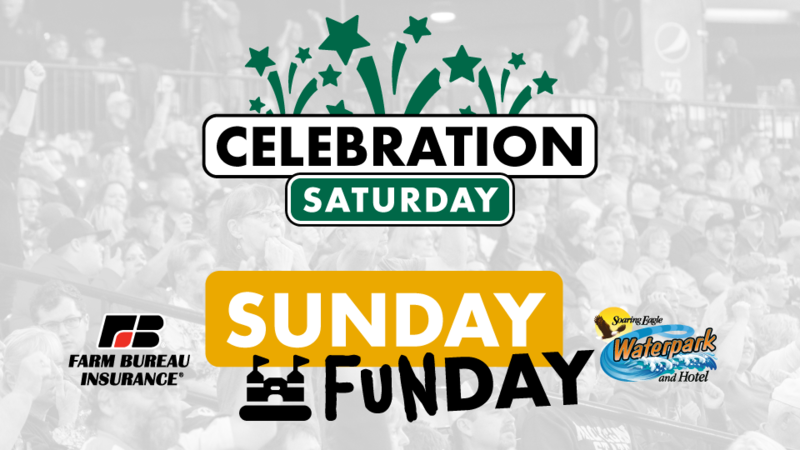 Celebration Saturdays is all the greatness of a Loons game rolled into one. Everyone is looking for something to go and do on a Saturday night in the heart of Michigan. We think you should choose us! We have 11 Saturday games this season, with eight of them featuring a Fireworks Loontacular. Beginning with Memorial Day Weekend, every Saturday game will culminate with fireworks. Some fan-favorites from previous seasons like Star Wars Night and Fairy Tale Kingdom Night will return once again on the premier day of the week at the ballpark. We're also hosting Breast Cancer Awareness Night on a Saturday this year and we'll be celebrating our 3 Millionth Fan in team history on May 25. It's excitement for the whole family on Sunday Funday! We're thrilled to bring back Kids Run the Bases presented by Farm Bureau Insurance where children are free to take a lap around the bases on the field following every Sunday game. And in line with providing value to our fans, each child 12 years old and under will receive a voucher upon entering the gates as part of Kids Eat Free presented by Soaring Eagle Waterpark & Hotel. Apart from the traditional Sunday afternoon start times and the three morning games for the area schools and youth organizations, we have added seven additional day games to the 2019 schedule. One of the top five things in our post-season survey that would "inspire fans to attend more Loons games in the future" was more day games or earlier game times. Sat., April 20 - 2:05 p.m.
Wed., April 24 - 2:05 p.m. Sat., May 4 - 2:05 p.m. Mon., May 27 - 2:05 p.m. Mon., July 22 - 12:05 p.m. Mon., Aug. 12 - 12:05 p.m.